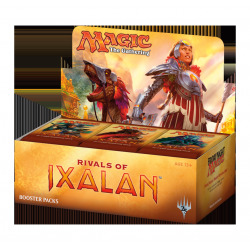 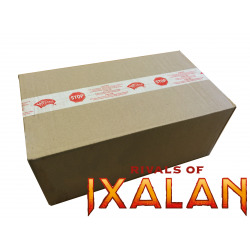 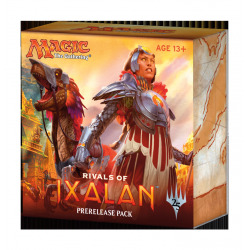 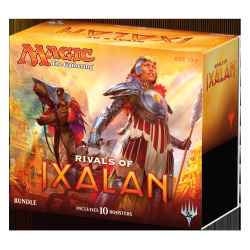 Rivals of Ixalan There are 8 products. 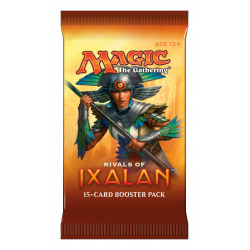 Rivals of Ixalan booster display containing 36 booster packs. 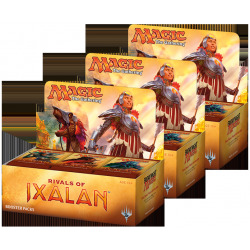 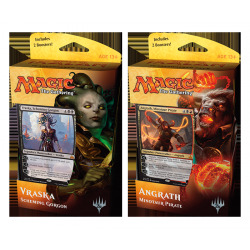 Rivals of Ixalan prerelease pack containing 6 booster packs (4x Rivals of Ixalan and 2 Ixalan), 1 premium promo card and 1 die.